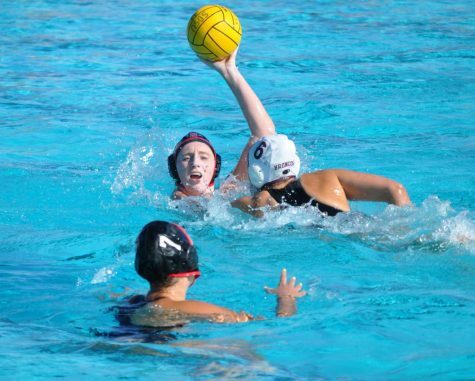 Freshman Julia Sheehan goes for the ball during the Aztecs 15-9 loss to UC Davis at the Aztec Lacrosse Field on April 8. San Diego State lacrosse was sitting at a record of 2-2, just two days after a 17-12 loss against then-No. 20 University of Colorado on Feb. 25. Junior midfielder Harlowe Steele said at the time that her team had two goals for the remainder of the regular season. “We want to win more than nine to beat our record last year, and we definitely want to beat a ranked opponent to get on the map,” Steele said. SDSU currently has a 9-7 overall record, and thus can accomplish both of these goals in its regular season finale on the road against No. 21 Notre Dame on April 21. 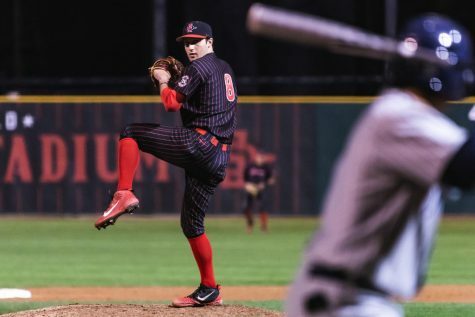 A win would also give the Aztecs two in a row going into the upcoming Mountain Pacific Sports Federation Championships, which the team will host at the Aztec Lacrosse Field from April 27-29. 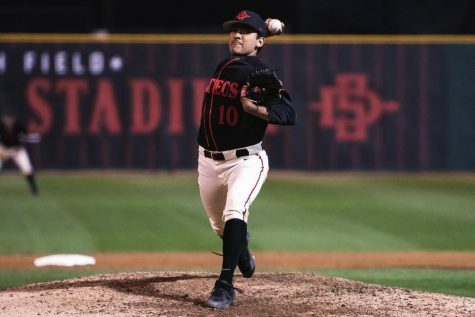 The Aztecs will face either UC Davis or Fresno State — the only other two teams in the MPSF — in the first round, with the winner advancing to play the No. 1 seed in the finals. 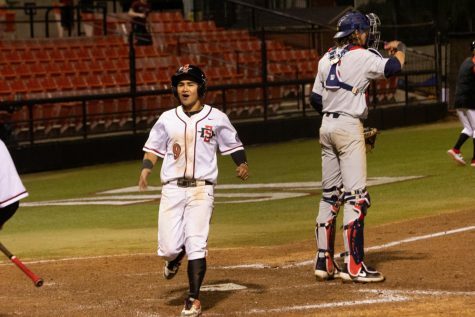 SDSU is unable to attain the top seed, after splitting games this season with a 15-9 loss against Davis on April 8, followed by a 15-11 victory over Fresno on April 15. 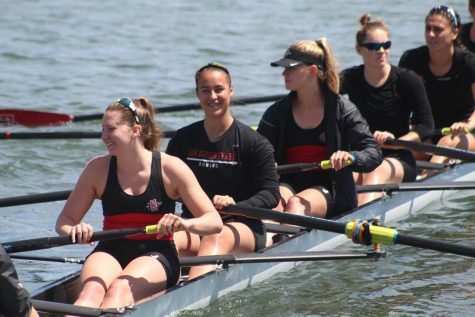 The seedings will be finalized following a Fresno matchup against UC Davis on April 21, and if the Bulldogs win by five goals or more, SDSU will be the third seed going into the postseason tournament. 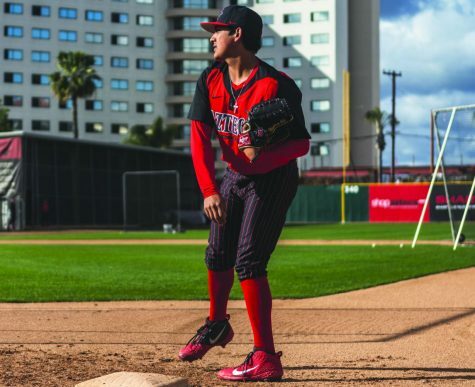 Regardless of their ultimate seeding, one thing in the Aztecs favor going into the championships is that the team holds a 5-2 home record this season, which will make playing on home turf a big advantage. On occasion, however, the team has been inconsistent. The Aztecs have won four out of six games that have been decided by two goals or less. This statistic is somewhat misleading, as the Aztecs have struggled closing games throughout the season. Time and time again SDSU has blown a lead, either losing the game or making it much closer than it should have been. This was on full display on March 6, when the Aztecs defeated Niagara University by a score of 18-16, but succumbed three goals to the Purple Eagles in the final three minutes. Another example was in a game against Liberty University on March 23, when the Aztecs allowed three goals in the last two-and-a-half minutes, barely holding on to win 11-10. SDSU was not so lucky in their matchup against UC Davis, allowing a 9-8 advantage in the second half to turn into a 15-9 loss after the Aggies scored seven unanswered goals to end the game. Clearly, the Aztecs are no stranger to conceding goals down the stretch. 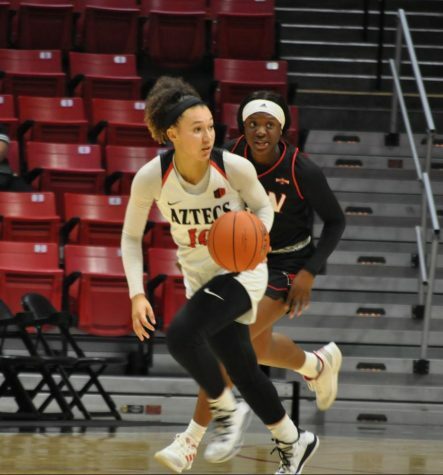 With just over 11 minutes in their game against Fresno State, however, the Aztecs found themselves in a 11-11 tie. 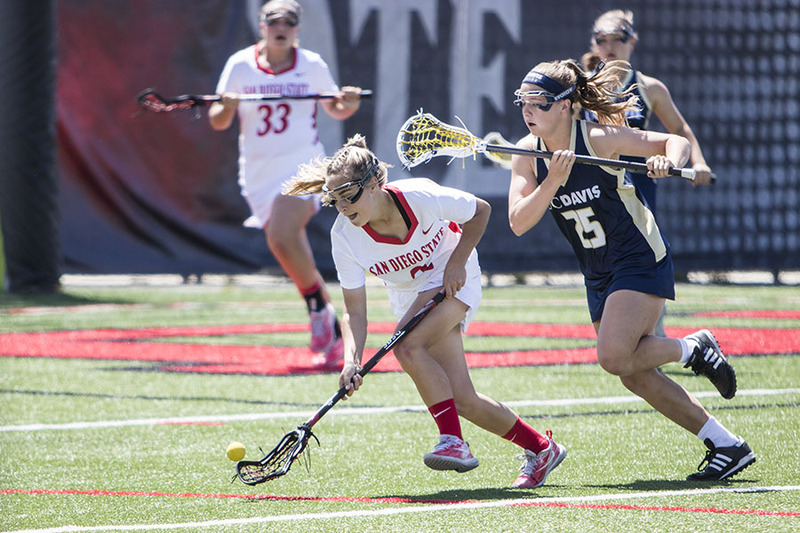 After scoring four unanswered goals, the Aztecs won by a convincing score of 15-11. If the win proves anything, it is that SDSU has regained its ability to play a full game. In addition, the Aztecs have the ability and star power to beat both Fresno and Davis to secure the MPSF title. That star power starts with Steele and fellow junior midfielder Jill Haight, who have led the team offensively. Steele is the top goalscorer with 34 goals, while Haight is second-best with 32 strikes. Haight also set the Aztecs single-season record with 63 draw controls on the season. On the defensive end, redshirt sophomore goalkeeper Katy Sharretts has been unstoppable in front of the net, where she has the seventh-most saves in the nation with 146 stops. SDSU has also been getting consistent contributions from its younger players, with freshman midfielder Bailey Brown earning her third MPSF Rookie of the Week award of the year on April 16. Brown has been a spark of energy off the bench throughout the season, totaling 11 goals, 14 ground balls and 43 draw controls. Senior leadership has also been on full display, with attacker Elizabeth Rourke performing exceptionally well as of late, scoring six times in her last three games. 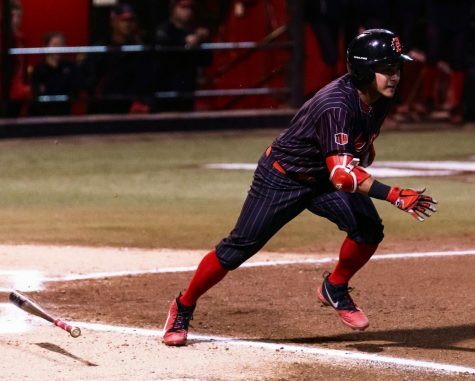 Rourke, who leads the Aztecs with 11 assists and 31 ground balls, was awarded MPSF Offensive Player of the Week for the first time in her career on April 16. Alongside senior midfielder Mackenzie Lech, Rourke’s leadership will be a necessity entering the postseason. If the Aztecs are able to play hard until the final whistle, then the team should expect an exciting end to their season.